UPDATE: We've extended our fundraiser! We are happy to announce that we will be extending our fundraiser to run through April in order to add an exciting new feature to the convention! Stay tuned for the announcement in just a few days. Thank you to everyone for your support so far! With your help, we've funded costs to print programs and have met most of the costs for hosting our guests! 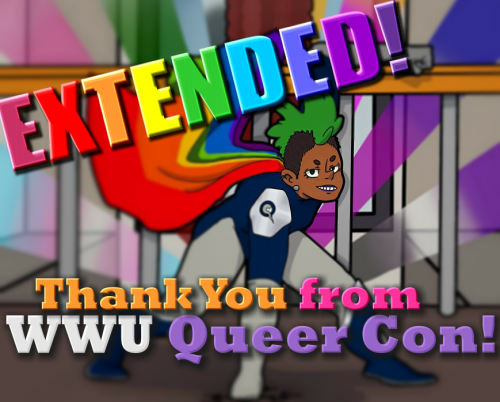 The response has been incredible and exciting, and puts us on a good foot forward for making WWU Queer Con 2017 a success. 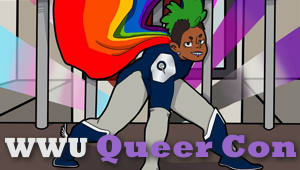 Help us make the Pacific Northwest's first queer comics convention a resounding success! WWU Queer Con is a single-day comics convention that will be held on April 29th 2017 on Western Washington University’s campus in Bellingham Washington. We recognize the importance of providing an opportunity to celebrate queer comics and creators, and to bring further visibility to the queer community in Bellingham and beyond. It is also important to us to make this a family friendly queer event that is accessible for both WWU students and the surrounding community. Our convention will have an artist alley featuring 30+ professional and student artists and writers, vendors, professional & student led panels, and a costume contest, all focused on queer comics and other pop culture media. This is a first year event, so we need some help covering our costs. A lot of our invited authors and artists need help getting to the convention, and one of the main goals of this fundraiser is to collect money to assist them. We also need help covering the printing costs for our advertising and programs, as well as general set up and operations costs. We have a website and several social media pages that include a full guest list and more ways you can get involved. Our website is www.wwuqueercon.com. 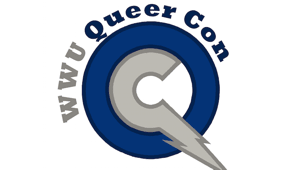 You can also find us on Facebook, Twitter, and Tumblr under the handle @wwuqueercon. You can also contact us via email at wwuqueercon@gmail.com. Any little bit helps! $5 pays to print two VIP artist badges. Every little bit helps! $15 pays for the printing costs for 30 posters to help advertise our event on campus and around town. $30 pays for meals for two of our invited artists on the day of the convention. $50 pays for the printing costs for four hundred flyers to advertise our event on campus and around town. $100 pays for lodgings for an invited artist or panelist for the weekend. Your name will be printed in our program as a thank you! $200 helps cover the travel expenses for a panelist from the Cascadia area. Donating at this level will get your name in our event program as a thank you! $300 helps cover the building set up costs for our event. Donating at this level will get your name in our event program and a postcard as a thank you! $500 covers the printing costs for our programs and additional signage for the day of our convention. Donating at this level will get your name in our event program and a letter as a thank you! $1000 pays for the travel and speaker expenses for two panelists outside of the Cascadia area. Donating at this level will get your name in our event program, a letter, and a Queer Con button as a thank you!